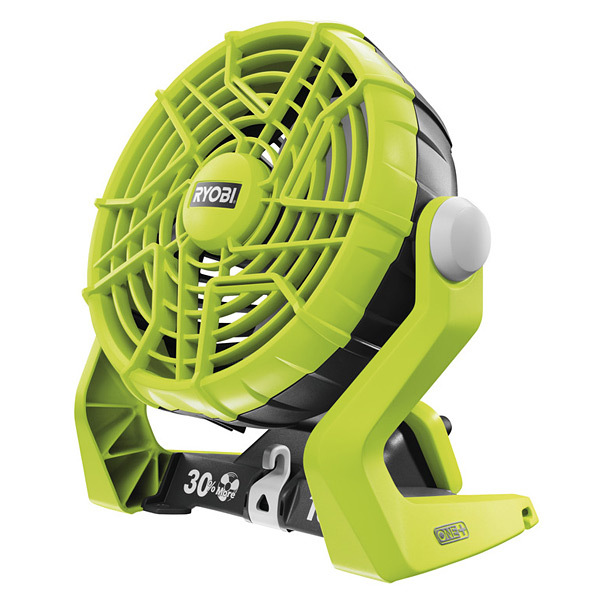 Cordless fan ideal for indoor our outdoor use, compact and portable with built in carry handle. • 8 adjustable positions to aim air in multiple directions. • Multiple hanging options for maximum versatility. • 2,100 rpm for max air flow or 1,400rpm for increased runtime and quieter operation. • Up to 18 Hours runtime with RB18L50 allowing you to run all day or even overnight on one charge.